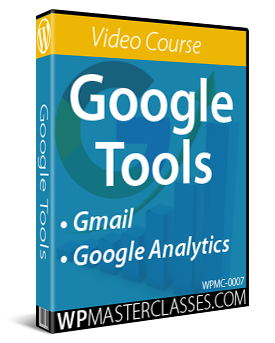 In this series of tutorials on content marketing, we continue exploring different content types and formats that you can use to create more exposure online for your business and increase traffic to your website. In this tutorial, we look at incorporating User Generated Content into your Content Marketing mix. User-generated content (UGC) is defined as “any form of content such as blogs, wikis, discussion forums, posts, chats, tweets, podcasting, pins, digital images, video, audio files, and other forms of media that was created by users of an online system or service, often made available via social media websites”. But you do have to provide a platform that facilitates the process, and then you have to get the ball rolling and help create momentum until it hopefully becomes “self-sustaining” (for a little while at least … until the next thing that catches everyone’s attention comes along). When most people think about users generating content, the most obvious platform that comes to mind is social media. Online communities like Facebook and Twitter, for example, provide the tools that allow users to continually interact with one another, generating more and more content. Discussion groups (e.g. LinkedIn Groups) and online forums are also common examples of platforms built to support user-generated content. 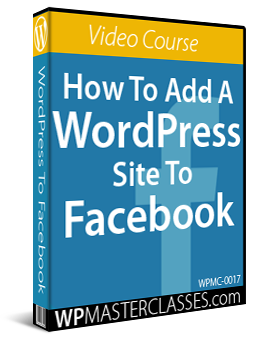 Also, video-sharing sites like YouTube and photo-sharing sites like Flickr are populated entirely by content generated by members of their service. It’s pretty difficult for most businesses to start their own Facebook, Twitter, LinkedIn, YouTube or Flickr. But any business can set up a platform for generating user-generated content on their own domain. 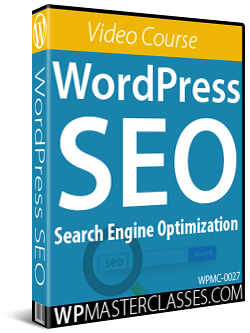 WordPress provides features that allow users to interact with and generate content for your site. One of the main issues with focusing all of your content marketing efforts exclusively on social networks is that they own (or at least control) your content, not you. All of the user-generated content on Facebook helps Facebook grow. You benefit too, but you are ultimately building someone else’s asset. With a self-hosted WordPress site installed on your domain, all of the content generated on your site contributes to building your asset, not someone else’s. 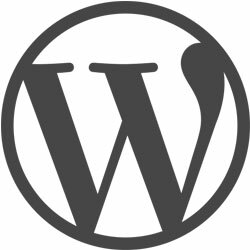 Have any additional content generated on external sites (again, self-generated or user-generated) fed back to your WordPress site. Ideally, the aim of all content that you publish anywhere should be to drive visitors back to your site, keep them on your site, and ultimately help you build a profitable digital asset. 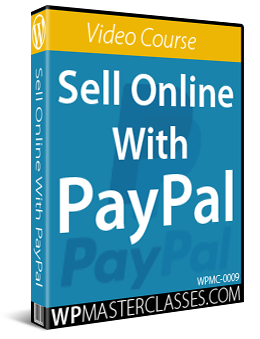 We provide tutorials on different methods and strategies to do this. In this specific tutorial, however, we’ll focus on some of the features of WordPress that allow you to publish user-generated content on your site. There are different methods you can use to create user generated content for your site. 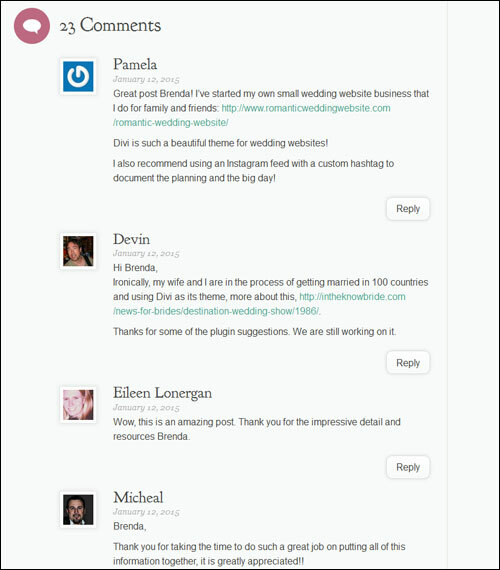 You can enhance the WordPress native commenting feature using plugins that integrate comments with social media, helping to share and spread UGC around. CommentLuv encourages readers to comment using SEO and social reward features like search-indexable backlinks, social enticements for sharing your content, using keywords in the name and the ability to add twitter names to comments. 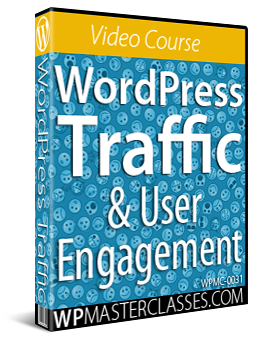 WordPress gives you the ability to assign and manage different types of users on your site, such as contributors, authors, and editors. This allows you to invite guest authors who will contribute new content to your site, often for nothing more than a return link to their own site or a line or two of self-promotion. One of the main benefits for you as a publisher of guest posts (apart from getting user-generated content that you didn’t have to write), is that this will often help attract new audiences to your site, as the guest authors will invariably want to promote or reference their article on social media, directories, etc. Guest Blogging is a two-way street where the benefits flow for both the guest blogger and the blog owner. As a guest blogger you provide UGC for someone else’s site and get increased exposure for your business, and as a blog owner accepting guest blog posts, you can use it as a way of getting UGC published on your site. As the blog owner, you not only get content for your site, but you can also ask for specific topics and subjects to be written for areas where you may lack expertise or authority, or to fill voids on subjects that pertain to your niche and your readers, but don’t motivate or inspire you to write. For example, you may have a site on financial topics, but dislike writing about tax legislation. Why not let someone else with more experience, interest, or passion for that subject fill that void instead? Using guest bloggers is also an ideal way to fill gaps in your schedule. For example, if you need to take a vacation and you run a “weekly tips” site with a loyal readership that expects you to post weekly posts, or if you are just too busy to write content on a regular basis. If you are interested in accepting guest bloggers on your site, be prepared to receive many article proposals, especially if your site attracts a lot of visitors. To help you save time and filter out unsuitable submissions, we recommend setting up submission guidelines on your site. When preparing guidelines for your site, visit sites that accept guest blogging and study their guidelines. Some of the guidelines you will want to add to your site should include things like minimum and maximum article length, formatting specifications (e.g. maximum number of hyperlinks allowed), republishing terms and conditions, originality, how articles should be delivered, what content you will or will not publish, if submitting content with images or graphics are allowed or not, and so on. If you work with an editorial calendar, consider publishing a list of the specific topics you are looking for and when you would need these by. 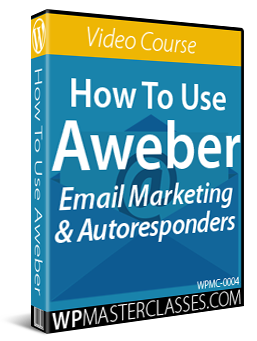 This way, you will hopefully receive articles or requests based on your specific needs. Once you have outlined your guidelines, publish them on your site and post this page on your social accounts. This will help you find suitable candidates and hopefully regular contributors to your blog. We have created a separate tutorial series about guest blogging. bbPress gives you one central account with a unified admin area, and the ability to divide your site into multiple sections, making running a WordPress-based forum not only easy to manage but also an ideal platform for user-generated content. User-Generated Content (UGC) allows you to leverage other people’s content creation efforts to boost your own content marketing strategy. 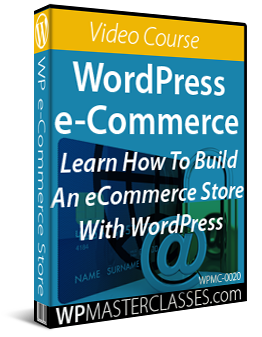 WordPress is an ideal platform for facilitating the creation, publishing, and promotion of user-generated content. Can you think of ways to entice your site visitors and blog readers to contribute content to your site? We’ve just looked at a number of ways of adding user-generated content to your content marketing mix. Now, let’s explore some possible ways that you can add UGC to your site by looking at examples of companies that were able to come up with clever ways of getting users to add content to their online properties and, in many cases, send their UGC campaigns viral. Known brands often repurpose UGC to help further promote their brand. For example, Domino’s took a positive endorsement posted by one of its followers on its Twitter account (“Soooo Beautiful Up Close!!!! ), added a close-up image of one of its pizzas as a background image to create a meme and then shared the visual UGC on its Facebook page and other networks. GoPro encourages users to make mini films, movies and documentaries with their GoPro cameras and submit these to the company for review. Selected videos then get uploaded to GoPro’s YouTube channel, bringing the film-maker 5 minutes of internet “notoriety” and giving GoPro endless UGC material while also encouraging more people to go out, buy GoPros, and make more videos. T-Mobile, the mobile communications company, ran a notorious (if not slightly underhanded) ‘Un-Valentine’s Day” campaign to try and steal customers from its competition by offering to pay the contract cancellation fees of anyone who “broke up” with their existing cell phone service and switched over to T-Mobile. To do this, they set up a Facebook app that let people create a custom “break up” letter to their existing carrier. The campaign was so successful, that T-Mobile now uses a “Ditch and Switch” Facebook app visitors can use to create and send contract cancellation notices to other mobile providers. Many companies tap into the collective creative and viral power of their loyal customer base through “fan art.” This generally involves setting up a fun and creative campaign or contest online and inviting their customers to submit fan art using their product, brand or logo, which they then repost on their social accounts. Depending on how fun, novel or creative the submissions are, this can generate from hundreds of thousands to millions of views and new visitors by combining UGC with social features like sharing, liking, retweeting, repinning, etc. Some companies even team up with others to run “fan art” campaigns online that end up benefiting everyone involved. 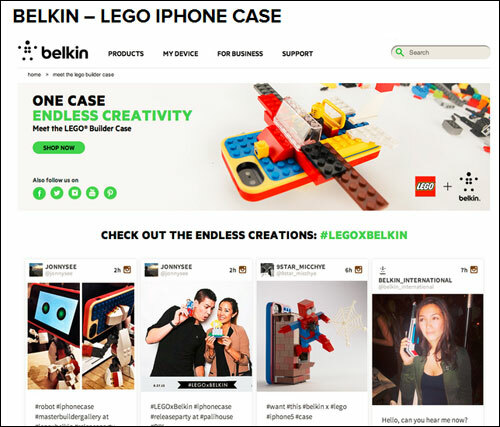 One of the most creative examples of a joint campaign powered by UGC, was when Belkin, the manufacturer of consumer electronics and connectivity devices teamed up with Lego and developed a customizable phone case with Lego studs that allowed Lego pieces to be added to the back of the phone case. Users were then invited to show off their creations using Instagram with a unique hashtag, creating a viral effect online that helped both companies sell more product. There are many ways to express Fan art. Pillsbury, a producer of baking goods, ran an online campaign where they asked users to submit photos of their “boldest” baked creations, and thousands of users were happy to oblige. If your business sells a product that customers can wear, like clothing, fashion accessories, glasses, earrings, hats, shoes, sportswear, baby clothing … even tattoos or cute onesies, why not combine the modern phenomenon of selfies with a user-generated content campaign that turns your customers into their own “models” of your products? 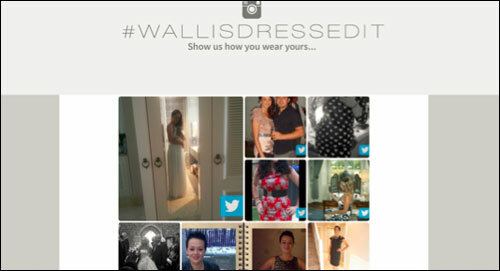 For example, UK and Ireland fashion retailer Wallis decided that its ideal customer base would get more value when visiting their website by seeing real photos of real people wearing their brand’s clothing in real-world situations, instead of seeing posed images of glamorous fashion catalog models, making their brand very relatable to their audience. 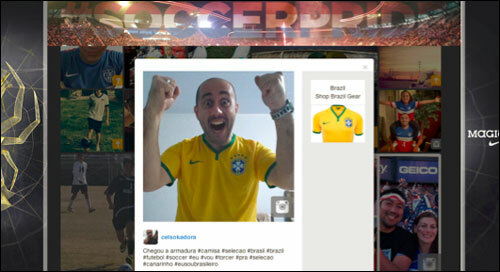 SoccerPro.com, an online retailer of soccer shirts invites their customers to send pictures of themselves wearing the shorts of the team the support. These pictures are then added to the product listing, so site visitors can see pictures of real customers and fellow sports fans wearing the apparel. 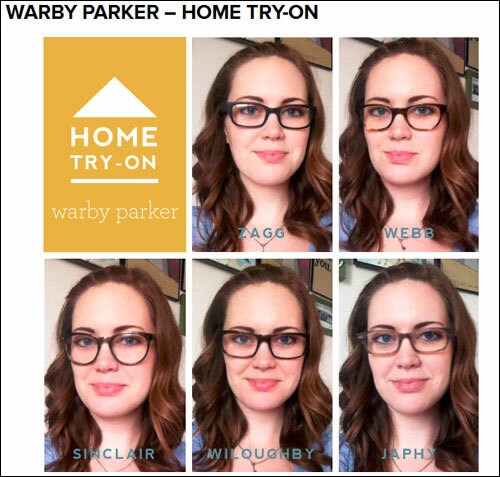 WarbyParker, a retailer of sunglasses, started a “home try-on” program which lets users upload pictures of themselves wearing different pairs of sunglasses, and online users can then help the user decide which pair of glasses suits them best. What if your business doesn’t readily lend itself to repurposing customer tweets as UGC or starting “fan art” contests? You can still add UGC to your website … just use someone else’s! There’s plenty of shareable user-generated content online. For example, let’s say that you sell organic cleaning products. Even though it’s hard to imagine not being able to get users involved in generating content for your business (what about getting users to tweet eco-friendly cleaning tips to your Twitter account using a hashtag, or start a video contest on YouTube to find new ways of using your products, or start a LinkedIn Group discussion on the challenges of switching from non-environmentally-friendly cleaning products to greener alternatives? 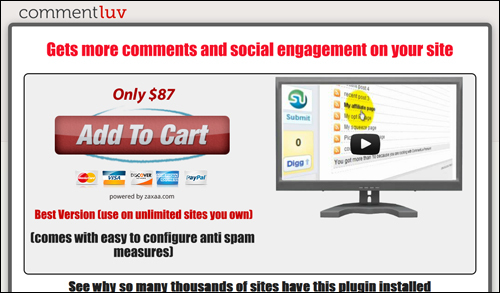 ), you could do the following to add UGC to your site. 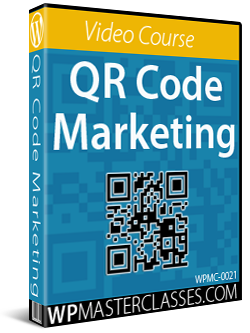 Quote, curate, condense, or paraphrase content from topic-related LinkedIn Group discussions, blog comments, forum posts, Amazon reviews, surveys, polls, etc. Add screenshots of insightful comments posted on Facebook walls, tweets, etc. Include links and references to sources when using the above methods and give credits and attributions where appropriate. If possible, always ask for written permission if in doubt. Hopefully, you are beginning to see many exciting possibilities for ways to generate content and get your users and customers involved. User-generated content can be an excellent form of content to add to your site, as it reflects your audience’s true sentiments, values, and beliefs. Create a list of promotional user-generated content ideas that would get your customers and members of your ideal target audience involved. 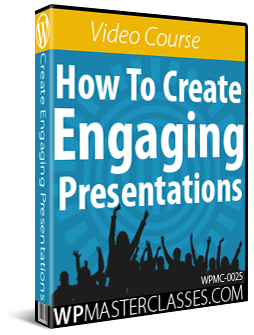 Find an idea that is reasonably simple and inexpensive to get started with and make it happen. 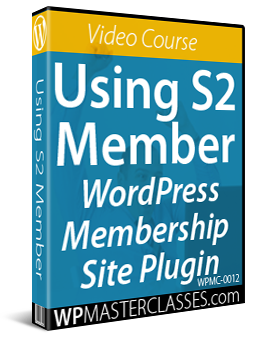 In the next tutorial, we’ll explore the use of 3rd party content as content for your WordPress site or blog.